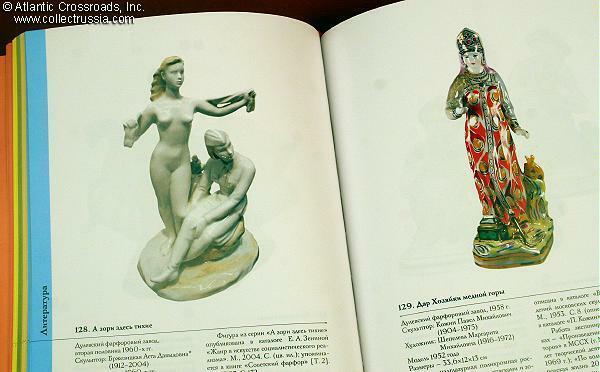 "Soviet Porcelain [Volume 3]" I Nasonova & S Nasonov, 2008, Moscow, Russian text. 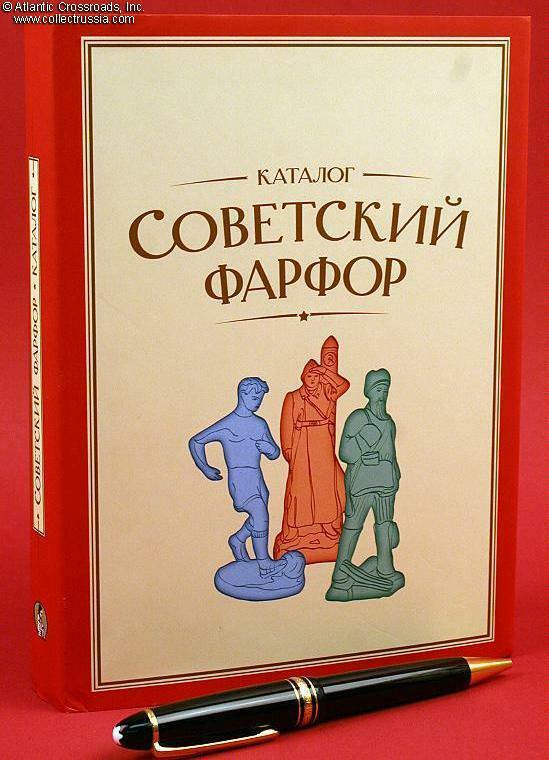 "Soviet Porcelain [Volume 3]" I Nasonova & S Nasonov, 2008, Moscow, Russian text. Cloth bound hard cover w/dust jacket and integral silk bookmark, small format (6" x 8 ¼" pages), 372pp, full color photographs. Happy Childhood / School Years (Счастливое детство. 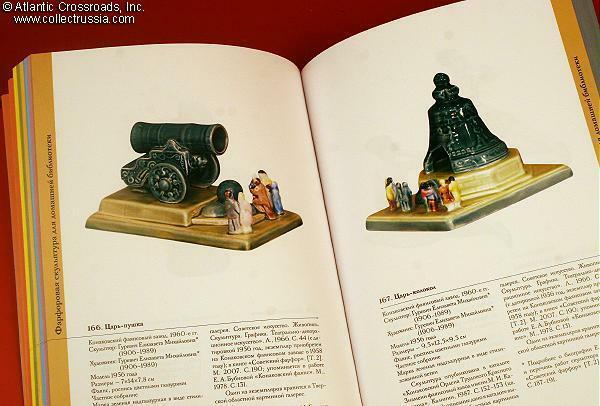 Школьные годы). Volume Three presents further biographical details about major ceramic sculptors as well as biographies of sculptors who somehow missed appearing in Volumes One and Two. 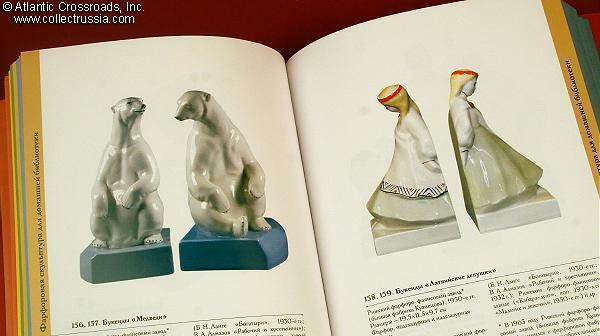 There is an accounting of every exhibition of Soviet porcelain exhibition presented anywhere between 1919 and 1940. 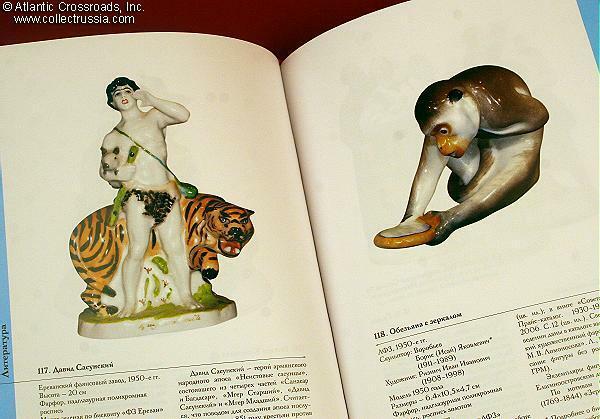 Each of the pieces illustrated are identified by sculptor and manufacturer; not only are they dated as to when they were created but, if the version shown in the photo dates from a later time frame, it is also specified.